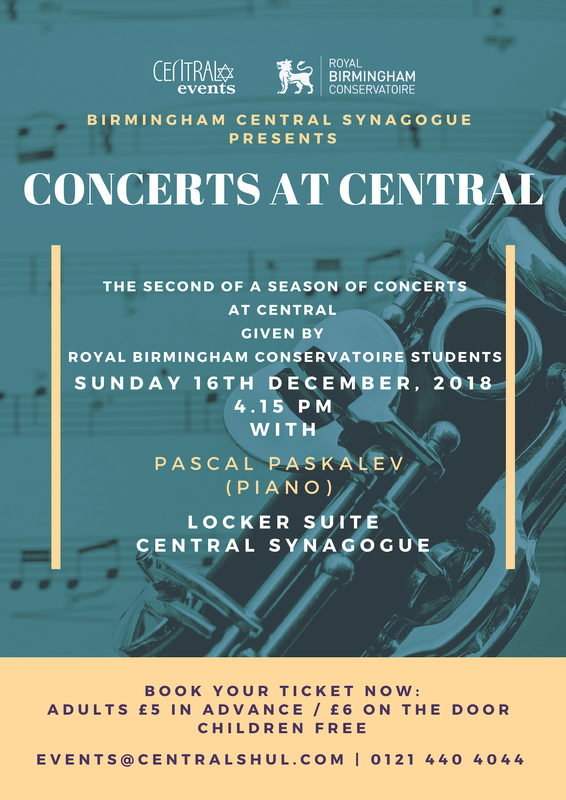 The successful collaboration between Birmingham Central Synagogue and the Royal Birmingham Conservatoire returns for a new series of monthly community concerts, with performances from some of the most talented Conservatoire students! 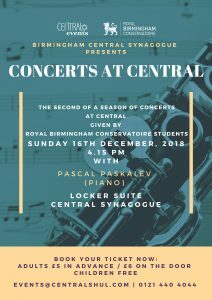 Join us for a lovely afternoon of music with Pascal Paskalev playing the piano. Book your ticket now: Adults £5 in advance (£6 on the door), childern FREE.